It’s little wonder why so many of the mixed media artists are incorporating bird and insect images into their pieces. Hopefully, one or more of the vintage bird here will find their way into your heart and your own creative endeavors. Everything here is copyright free and in the public domain in the United States. 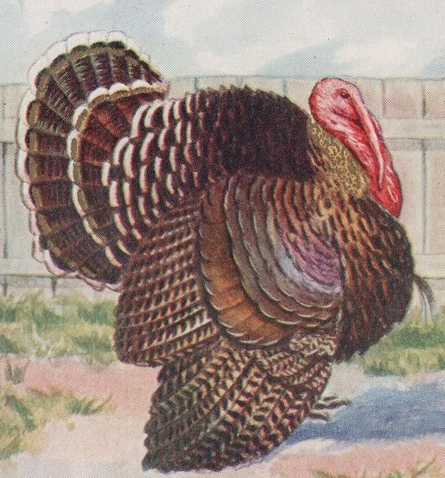 Vintage proud turkey drawing rescued from a Thanksgiving Day card postmarked 1912. Full color illustration of a Tom showing off his plummage. 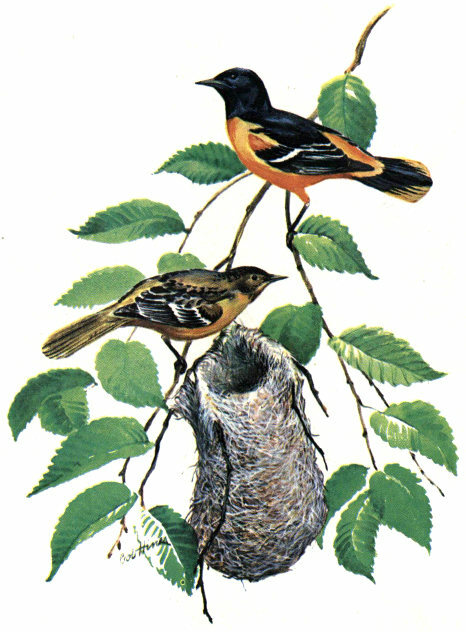 Public domain drawing of a pair of Baltimore Orioles and their nest from an American government publication. 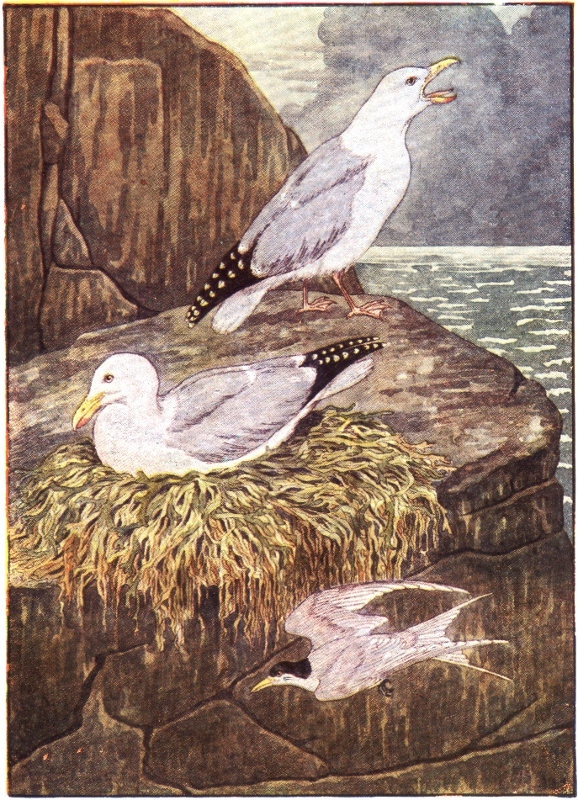 Vintage children’s book illustration of a pair of sea gulls and nest. Another bird flies past the nest as the father bird hollers at the coming storm clouds. 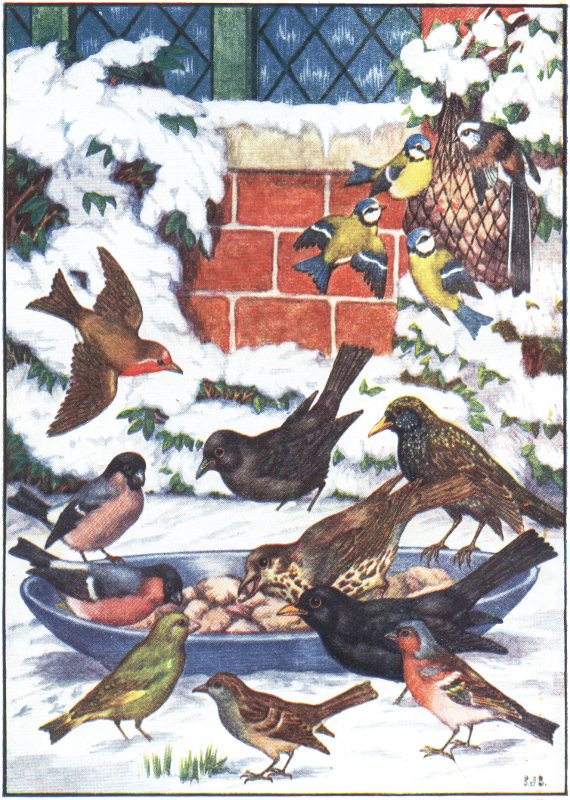 A children’s book illustration of winter birds of England. So many different kinds of birds visiting a backyard feeding station. 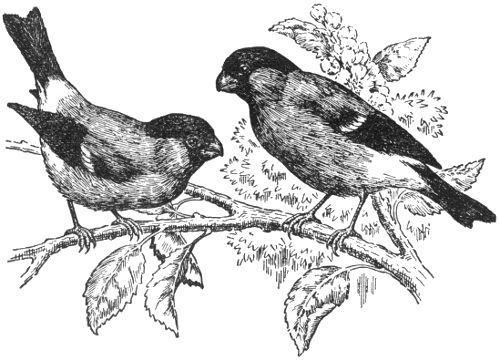 Vintage, black and white drawing of a pair of bullfinches on a branch with berries. From a children’s natural history story book. 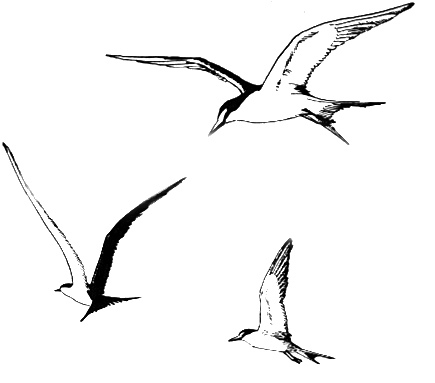 Seagull trio rescued from a 1958 travel brochure by the National Park Service. This drawing of seagulls will add some beachy goodness to your next project. 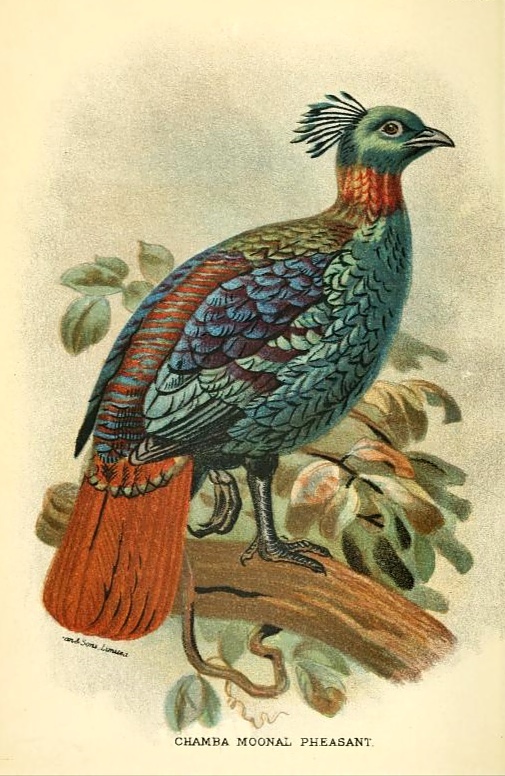 Beautiful, full-color book plate of a Chamba Moonal Pheasant. 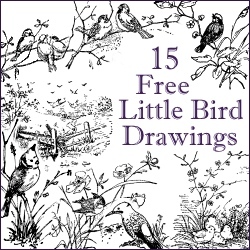 This bird drawing dates back to at least 1896 and is fully PD in the US. 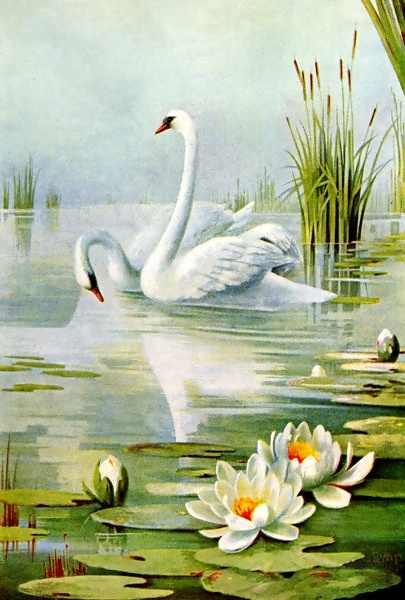 Pretty swan pair drawing from a vintage 1899 magazine. Two beautiful white birds glide majestically among white, yellow and orange water lilies. 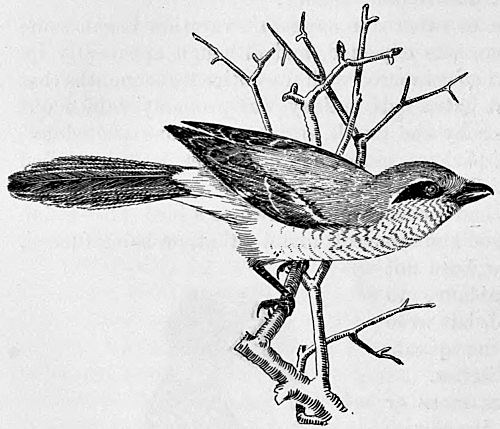 A collection of 15 little bird drawings from the pages of the first volume of Bird Lore, a magazine by the Audubon Society. 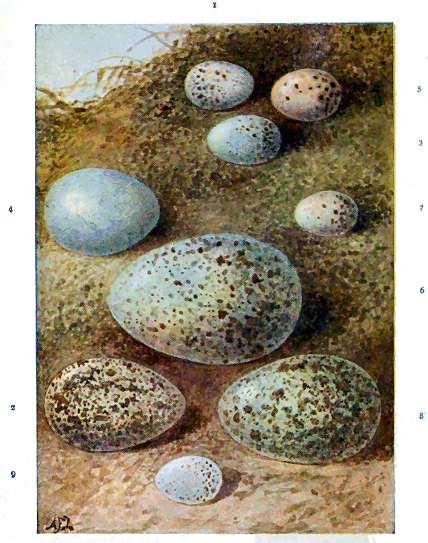 A color printed book plate of bird eggs. Nine different bird species and their eggs are represented. Mostly brown-spotted blue eggs one a pinkish color. Beautiful salmon-crested cockatoo drawing from 1832 with a bit of modern flair. 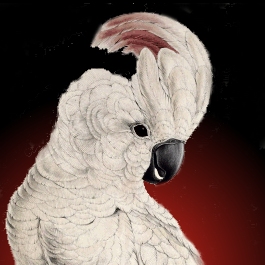 The creamy-white colored bird is shown on a black and red background. Although it’s black and grey in the wild, this northern shrike makes a wonderful black and white bird drawing for your creative projects. I did a search on Amazon for vintage birds to get you started. Maybe you'll find that little something that will transform your current creative project into something spectacular.